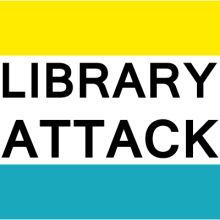 Professional Vitals – Library Attack! I probably made this more work than it should have been, but I feel like I should note that I finally made a Curriculum Vitae. Now, I’ve had resumes in the past, but recently people have asked for my CV. One reason this was such a hard task was that I didn’t think I had enough stuff to even warrant a proper CV. I looked at my friends’ and colleagues’ CVs and I saw long lists of presentations, awards, and actual job history, when I had practically nothing. This is what happens when you work in one library your entire (short) career. Luckily, this past year I actually did some stuff so I had content! We’ll see if I maintain this. At least, hopefully, I’ll keep adding to it. SLA is SLA, now let’s move on.